Recently, gravity duals for certain Galilean-invariant conformal field theories have been constructed. In this paper, we point out that the spectrum of the particle number operator in the examples found so far is not a necessary consequence of the existence of a gravity dual. We record some progress towards more realistic spectra. In particular, we construct bulk systems with asymptotic Schrödinger symmetry and only one extra dimension. In examples, we find solutions which describe these Schrödinger-symmetric systems at finite density. A lift to M-theory is used to resolve a curvature singularity. As a happy byproduct of this analysis, we realize a state which could be called a holographic Mott insulator. M. Taylor, Holography for degenerate boundaries, hep-th/0001177 [SPIRES]. S.A. Hartnoll, Quantum critical dynamics from black holes, arXiv:0909.3553 [SPIRES]. S. Hellerman, A universal inequality for CFT and quantum gravity, arXiv:0902.2790 [SPIRES]. G.T. 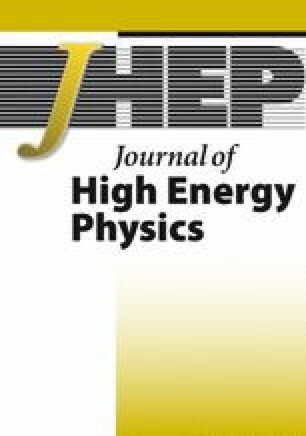 Horowitz, Introduction to holographic superconductors, arXiv:1002.1722 [SPIRES]. U. Gürsoy, Continuous Hawking-Page transitions in Einstein-scalar gravity, arXiv:1007.0500 [SPIRES].